*Prime Bathurst N/Finch! *Incredible Opportunity! *Seldom Available 3Br 2Bth S/W Corner Suite Awaiting Your Renovation! *Abundance Of Windows+Light W/Panoramic Views! *Fab Flow For Entertaining! *Wall Between 2Br+3Br Has Been Removed, Easily Converts Back! *Estate Sale, Unit Being Sold In As Is Condition, With No Representations Or Warranties! 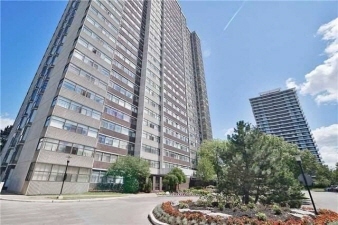 *Mins To Ttc,Shopping,Schools+All Amenities!